Caroline Rose mixes the personal and political on genre-bending, multitude-containing Loner. 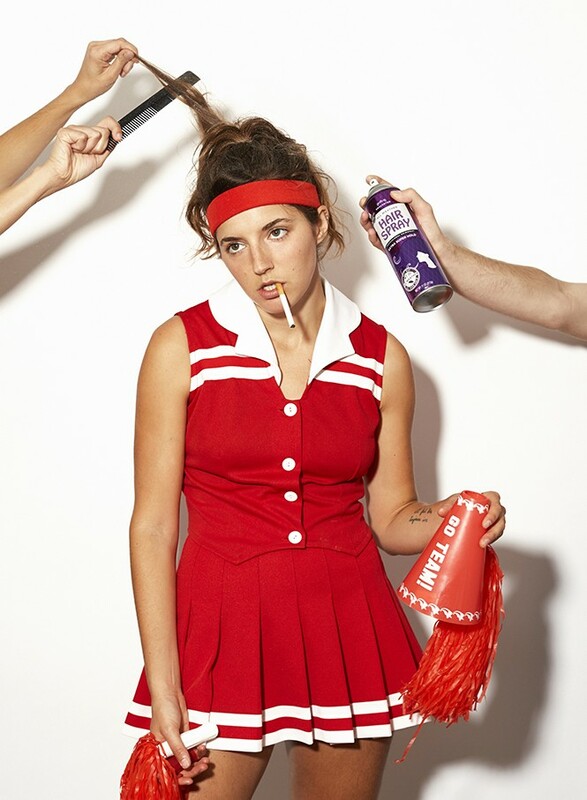 Although it took Caroline Rose four years to write,record and produce her sophomore full-length album,Lonerfeels very much of this moment. Hyperkinetic songs about catcalling,capitalism and unchecked misogyny burst from the record's seams, chewing up considerable creative ground. "Money" revs its gothabilly into overdrive, "Getting to Me" orchestrates its heartbreak over symphonic R&B, "Soul No. 5" improbably blends street rap and surf rock and "More of the Same" bounces along on burbling synth-pop. In short, Loneris a far cry from Rose's early work in the rootsy Americana vein. Handling nearly all of the songwriting and instrumental duties while mixing and engineering the record with producer Paul Butler, Rose says Loner is the most accurate documentation of her own schizophrenic personality. "I wanted to create something that really felt like the whole me," she says. "All of the different mood swings, the humor, the sadness, the sarcasm and the joy." Rose's aesthetics contain multitudes, too. Decked out head to toe in red, she's set Loner's standout singles to kaleidoscopic mini-movies in which she portrays multiple characters while enlisting fellow queer, body-positive and non-binary friends to add visual power to her skewering of stereotypes. The most recent video, for "Bikini," mixes the flamboyant absurdism of Almodóvar (blank-faced women smiling while they fumble with their instruments) with a manic game-show-host-on-shrooms lounge singer (played by Rose) imploring the ladies to "Put on this little bikini/ And dance!" "I often have those kinds of visuals in mind when I write a song," Rose says. "And after three months of touring, it's translating well to the live stage, too. I can control the narrative of how I want to portray the songs and portray myself." Rose and herband spent months working on the live show, taking notes how to improve their performances. "The main thing is that we go to lengths to make sure the live show is a completely different experience than listening to the record—alot more thrashy and spontaneous," she says. "That brings the album to life far more." Of course, there's no shame in riding high on the laurels of glowing reviews from The New York Times, NPR, Rolling Stone, Pitchfork and Out. "It's incredibly validating to know that the hard work that went into Loneris paying off, "Rose says. "I'm knocking on wood right now, but I have yet to see a bad review. And that's crazy because I was out of the game for four years trying to figure out exactly how to build my music career and my identity." Although Rose says she's managed to exert complete creative control over the artistic side of her burgeoning career, she does express frustration at the way certain business dealings have unfolded. "I tnever ceases to surprise me how both annoying and error-prone the music industry can be," she says. "My eyes are much more open to making sure that I have full control over how my career is dictated to the audience." The audience is responding, too. Rose regularly receives intense personal messages about fans' reactions to songs like "Jeannie Becomes a Mom" (about an unplanned pregnancy) and "Animal" (about the all-consuming jealousy of watching an old flame move on). "You can't really tell if I'm jealous of the man or the woman [in 'Animal']," Rose says. "But it's still relatable—and if I've experienced it, chances are somebody else will have experienced something really similar. When you're writing, it really has to come from an honest place or else people can tell right away that it's not legitimate." Surprisingly, Rose says it isn't exhausting to put so much of herself on the line—even if Loner's drawn-out life cycle did wear her down. "It wasn't easy putting this record out. I would never say it was un-fun, but the process was really daunting. I tried to collect songs written over the course of several years that represented all the different sides of me as a person into a composite that sonically blended a bunch of genres. That made it difficult to create a cohesive album where all the songs sound like they arrived at the same party together." Still, Rose's self-described "bricolage" approach works, both on record and on stage. Nearly all of her North American shows since Loner's February release have sold out, and after another quick run across the U.S. in June (including her first headlining date ever in Salt Lake City), she'll head off on a maiden voyage to the U.K. and Europe. "I'm still kind of pinching myself that things are going so well," she laughs.